WASHINGTON – Abeth Spencer said that most of the 100 immigrants that the Shadow Rock United Church of Christ took in this weekend at the request of Immigration and Customs Enforcement officials had already moved on by Wednesday. The Phoenix church was one of several nonprofits in the state that provided shelter, food and laundry services for the families for a brief time before putting them on buses to friends or family members elsewhere who will keep them until their next immigration hearing. “The guests have travel plans with bus tickets to meet up with friends and family,” Spencer said. “Once they get there, they have to check back in with the local immigration office. Spencer said the Phoenix church is ready to take more if asked by ICE, which released hundreds of migrant families to non-governmental organizations to help it ease a backlog of cases. 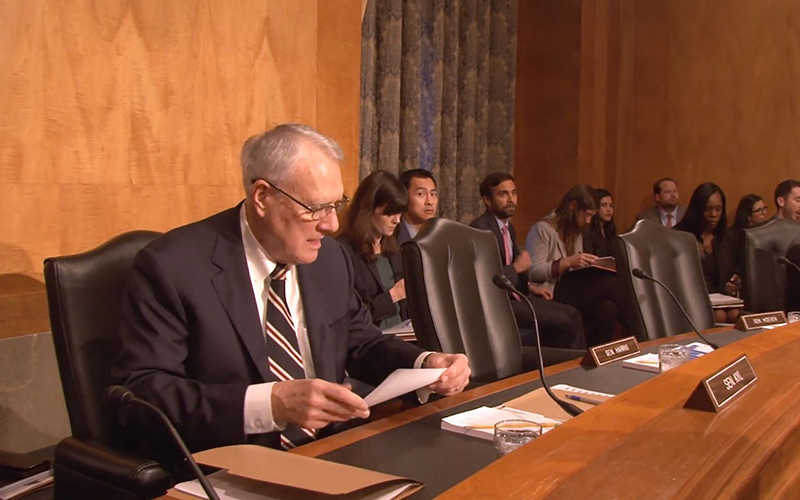 Sen. Jon Kyl, R-Arizona, wants to know how many more. 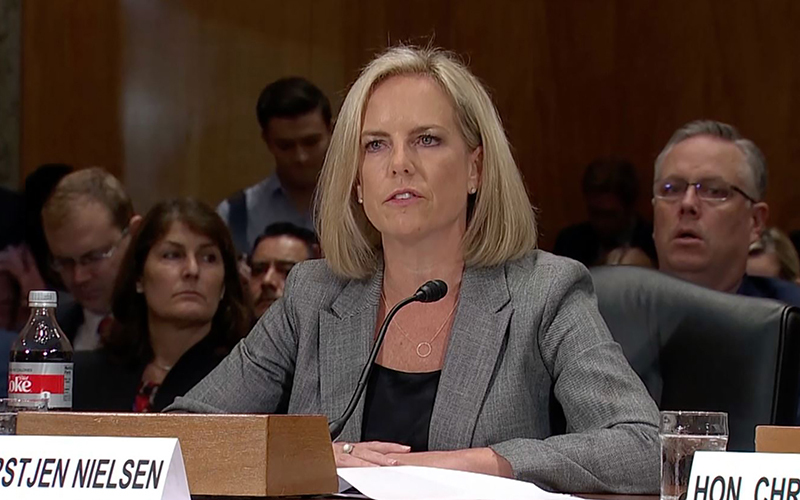 Nielsen could not offer many specifics at the Senate Homeland Security and Governmental Affairs Committee hearing, saying her agencies simply don’t have the capacity to process all the cases they have in a timely manner. 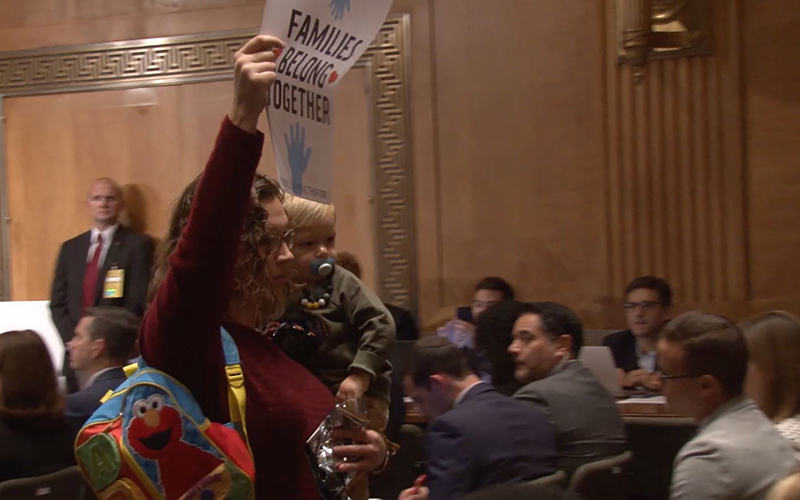 She urged Congress to take steps that would let her keep families in custody longer than the 20-day limit for holding migrant children set in the so-called Flores settlement. It was because of Flores, and a recent surge in immigrants at the southern border, that ICE expedited the release of hundreds of families that were being held in southern Arizona detention facilities over the weekend. Typically, before it releases a family from custody, ICE conducts a review of the family’s “post-release plan.” That includes confirming bus routes to their final destinations, coordinating with nonprofits to provide temporary shelter and other resources, and communicating with family members, according to a statement from ICE spokesperson Yasmeen Pitts O’Keefe. ICE was forced to skip that review and instead called on nonprofits around the state and asked them to help provide temporary shelter and transportation for migrant families while they wait to move on. 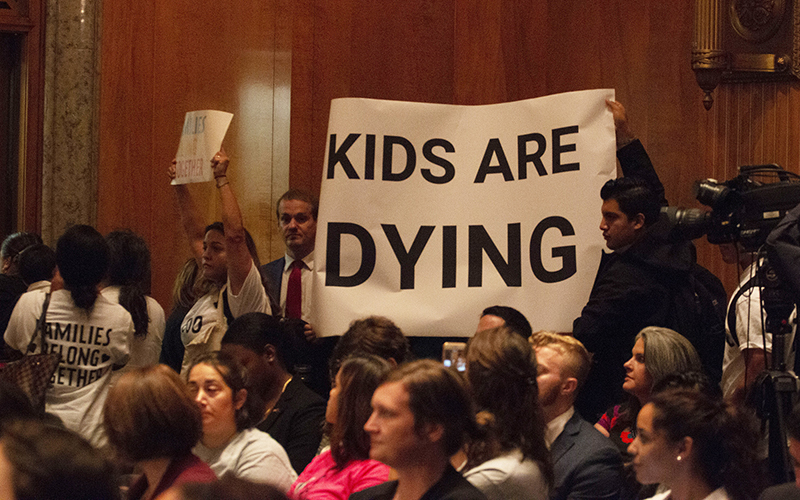 Families released under such conditions are not completely removed from ICE oversight. They are issued notices to appear in immigration court and enrolled in ICE’s Alternatives to Detention program, and may be paroled with supervision requirements. The nonprofits are not responsible for resettling the migrant families in their new homes, just taking care of them while they wait to go. Spencer said this weekend’s release was complicated by the fact that the approach of Hurricane Michael affected some bus routes that were taking immigrants to the East Coast, but that all but a handful were gone Wednesday. She said that while organizations like Shadow Rock do not necessarily agree with the Trump administration’s hard-line approach to immigration policy, they are willing to cooperate to help the families. “Migration, we kind of view as a natural human event,” Spencer said. “People will move where there is peace, and where there is water and where there is opportunity.